DIXON, ILLINOIS. 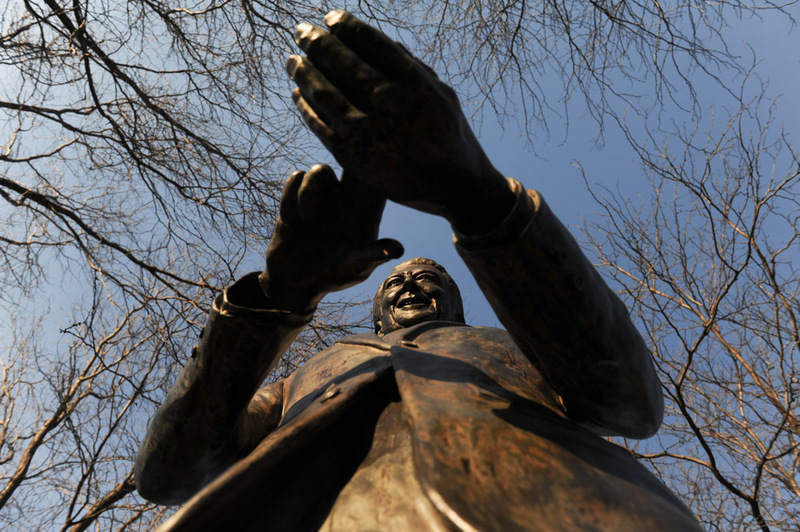 A statue of former U.S. President Ronald Reagan looking at kernels of corn in his hand stands outside his boyhood home on April 5, 2015. A plaque underneath the statue notes "Illinois is famous for its agricultural products; so it seems appropriate for him to be admiring the kernels of corn in his hand."